According to the National Center for Education Statistics (NCES), the number of public schools implementing a school uniform has been on the rise over the last 10 years. In 2000, 12 percent of public schools required a uniform. In 2010, 19 percent of school principals reported that they had adopted a uniform for their students. 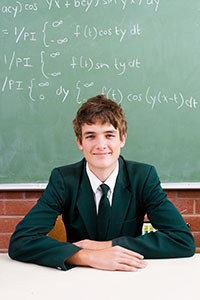 School uniforms are considered by the NCES to be an “indicator of school crime and safety,” and safety is a primary advantage of school uniforms. Uniforms alone cannot solve all of our concerns but they can be a very positive element to safety and discipline. However, a uniform policy comes with its disadvantages and over the years there have been numerous controversies regarding their use. Uniforms help to eliminate the socioeconomic tension that affects students who cannot afford the latest trends. Makes it difficult for gang members to easily identify themselves. Prevents violence and theft related to clothing, expensive jewelry, and other personal items. Helps school staff & security quickly spot intruders and any other individuals who do not belong. Prevent students from being able to conceal weapons beneath baggy clothing. In light of recent school shootings, keeping weapons out of our schools is a major concern. One of the best advantages of a school uniform is that it helps prevent just that. Without proper security measures in place, a student could very easily bring weapons into the school hidden beneath baggy clothing. A uniform policy would help to prevent this. While school uniforms obviously have their advantages in regards to school security & safety, they do not solve all of the issues. If the uniform policy is not strict enough, there will still be students with expensive uniforms and those who cannot afford to achieve that level of status. Gang members will also find new ways to identify themselves. Implementing a school uniform will also bring new issues to the table. A typical complaint is that the school uniform prevents the students from self-expression, which is a rather weak argument. Most adults should agree that learning how to obey a dress code is something students should be taught before they venture out into the world. Many jobs require a company uniform or some form of dress code while on the job. However, controversy is always a possibility and one that might not always be in favor of the school. In 1969, Tinker v. Des Moines Independent Community School District, was the first case regarding dress code that went to the Supreme Court. The Court ruled in the students’ favor and emphasized students’ rights to free speech, stating that “A prohibition against expression of opinion, without any evidence that the rule is necessary to avoid substantial interference with school discipline or the rights of others, is not permissible under the First and Fourteenth Amendments.” To help diminish controversy, your schools uniform policy should be well planned before implementation.